In future this site will be dedicated to the Porthcawl and the Great War. Available from Porthcawl Museum £6. Second Reprint. All proceeds to the Museum. 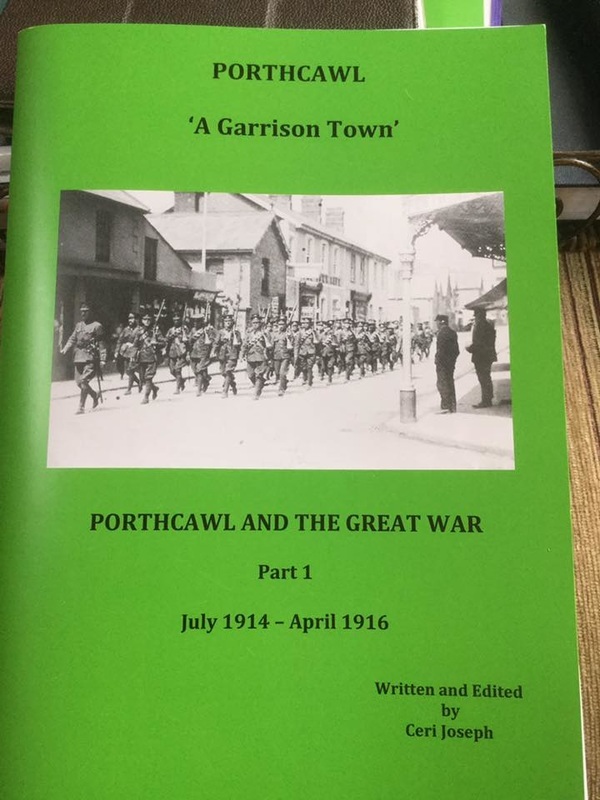 3rd and Final book documenting Porthcawl and the Great War. Available from Porthcawl Museum £6. All proceeds to the Museum. Available from Porthcawl Museum £6. All proceeds to the Museum. 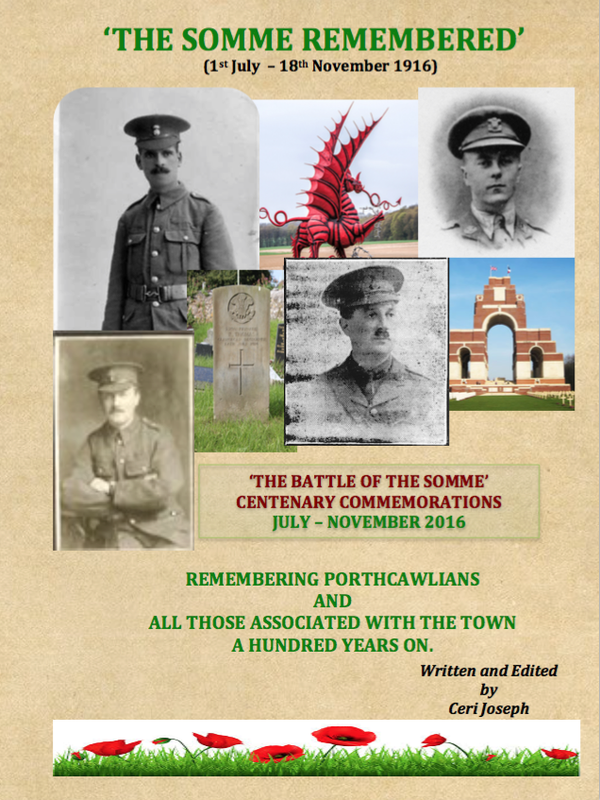 Commemorative Booklet available at Porthcawl Museum. Price £3. All proceeds to the Museum. “Owing to the breakdown of Russia, the military situation was more favourable to us at New Year 1918 than one could ever have expected.’ General Erich Ludendorff, German Imperial Army. 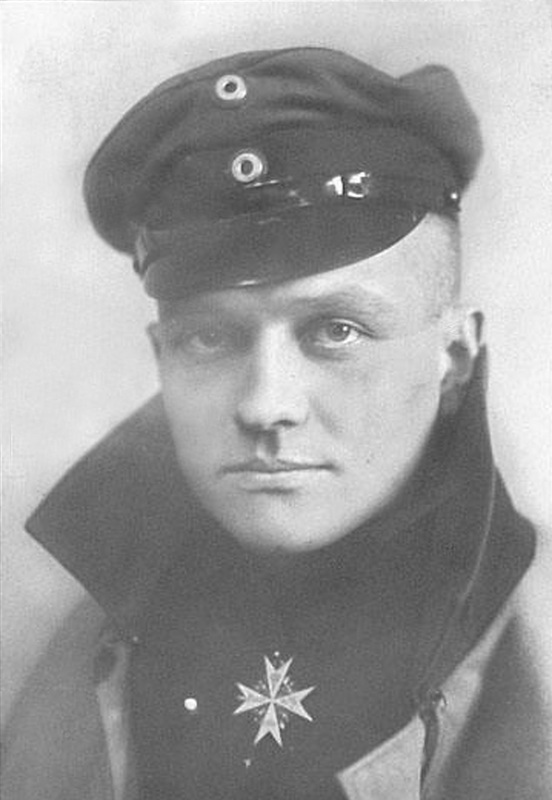 Whereas the German High Command was able to increase its military strength on the Western Front, the Allies were in a weak position, as American troops had not yet arrived in huge numbers. Further, the continued Royal Naval blockade of German ports was crippling Germany economically. German people were enduring serious food shortages, the transport infrastructure was breaking down, morale was at an alltime low and strikes were developing throughout the country. Germany needed the war to end as soon as was possible. In January 1918, they continued to plan for an all out attack, along the allied lines, with the aim of breaking through to victory. Therefore, all was quiet on the Western Front until 21st March, when the Spring Offensive, began. ​The third and last book in the series will be out October 2018. Porthcawl resident or not,we would love to hear your family's story from the war years. 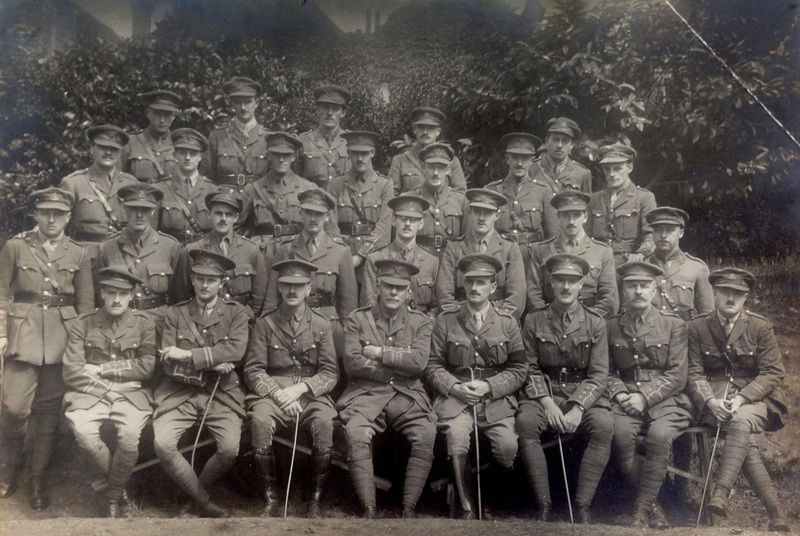 Private Davies's Battalion was at the front Christmas 1914. 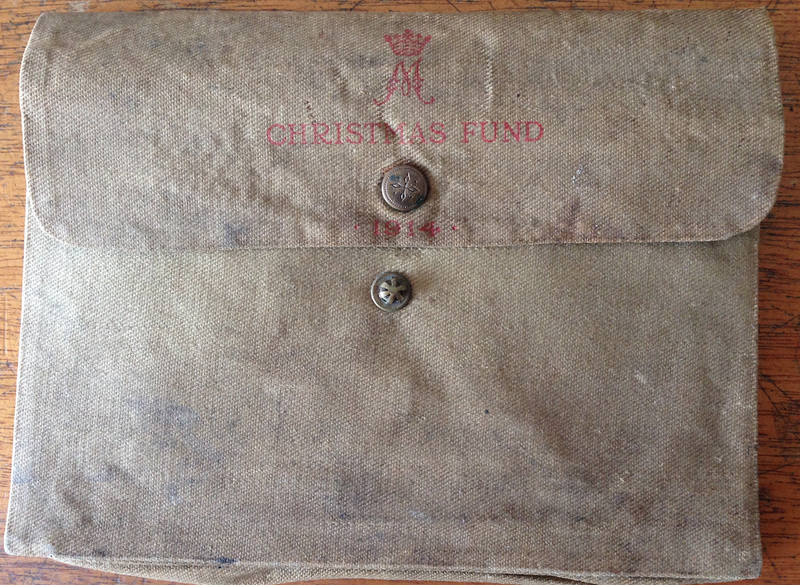 Private Davies took part in the Christmas Truce and received this pouch. It is believed that men who didn't smoke had the pouch, instead of the Princess Mary tin, which held tobacco.The pouch contained writing materials . 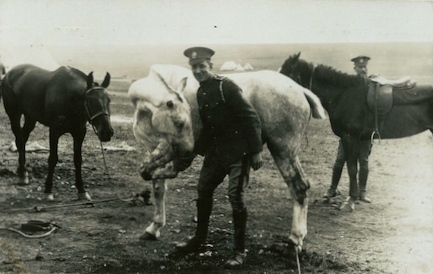 Private Wilson Edwick teaching a horse to eat out of his hoof. Mr Harding retired in August 1919 aged 72 yrs. The man who enlisted three times! Click on his photo. 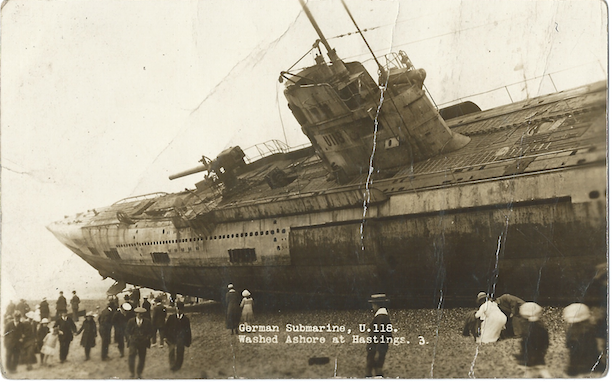 German U Boat washed ashore in Hastings. On 31st January 1917, Germany announced the intention of unrestricted submarine warfare in the Atlantic. 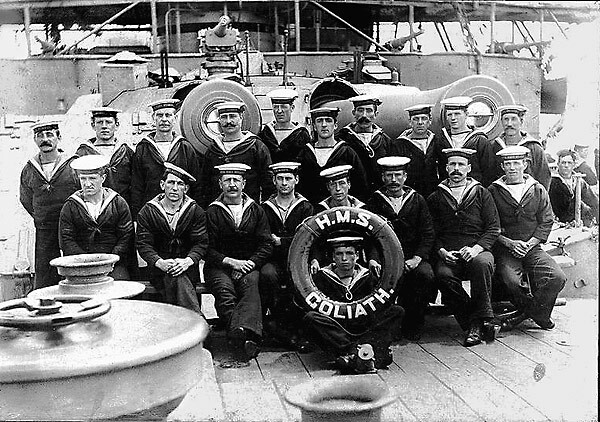 German submarines were prepared to attack any and all ships, including civilian passenger carriers, said to be sighted in war-zone waters.The aim was to inflict such high losses on British Merchant ships, thought to carrying urgently needed food and ammunition imports to Britain. German command believed that an early peace could then be achieved before the United States could react effectively. The U-118, pictured above, surrendered on 23 February 1919. Her last hit was the British tanker 'Arca', on 2nd October off Donegal,Ireland. Following her surrender, the tow cable snapped during the voyage to France . As a result she went aground off Hastings on 15 April 1919. She was later broken up and sold for scrap.It is believed that some of the keel still lays under the sand at Hastings. 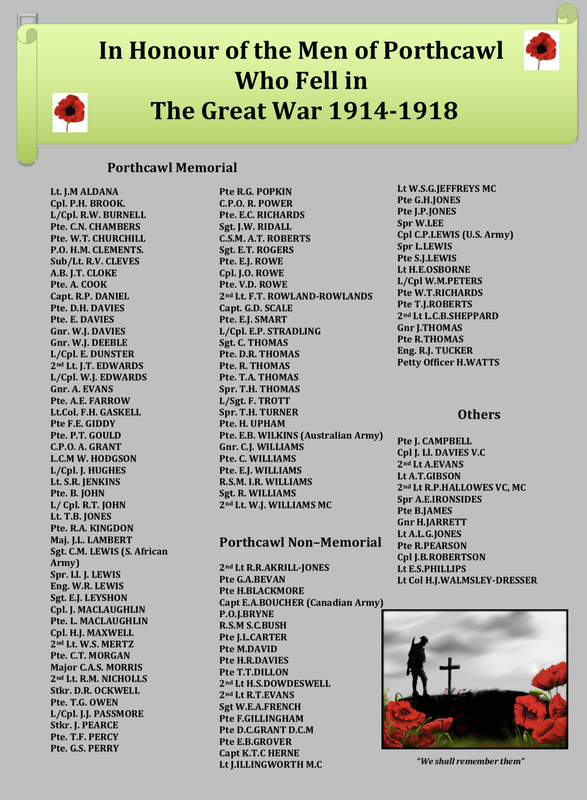 During the intense attacks of 1917, by German U Boats on Merchant shipping, 3 Porthcawl men lost their lives. Chief Petty Officer Richard Power,Chief Officer Angus Grant and Fourth Engineer Officer William Robert Lewis. click here for more information. (front row. 4th from the right.) from Pontypridd, served with the 5th Battalion,at Gallipoli; as their commanding officer.The battalion was part of the 53rd (Welsh) Division that landed at Suvla Bay on 9th August 1915. Following the failed military advances of August, work and sickness filled the next months. Exacerbated by millions of flies, unburied corpses lying between opposing trenches and the confined space in which men and animals existed, resulted in thousands of cases of dysentery and diarrhea. Early in October the numbers in the 4th and 5th Welsh had fallen so low that the two Battalions were amalgamated into one, called the 4th/5th Welsh Composite, under command of Major H. H. Southey of the 5th Welsh, Major Dowdeswell having been invalided home, on 7th October, suffering with chronic dysentery. Home eventually became, Southcove, The Esplanade, Porthcawl to where he and his family moved, a few years after the war. In 1930,Colonel W Dowdeswell died and was buried at St John’s Church, Newton. It is interesting to note that cause of death was attributed to his time in Gallipoli. Eventually, on 11th December the 4th/5th Composite was the first unit to be evacuated from the peninsula. The evacuation was forced by a combination of combat, disease and harsh weather which saw the division reduced to just 162 officers and 2428 men, approximately 15% of its former strength. the story of the war so far. click here. 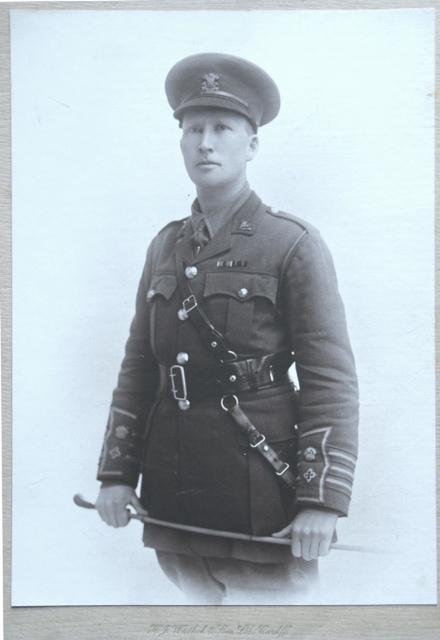 ​Captain Gaskell from Llanishen, had already served with the 2nd Battalion, Welsh Regiment at the front, during which time he was shot in the jaw. It was whilst he was home, convalescing, that he was asked to command the new 16th Battalion, Welsh Regiment raised at Cardiff. 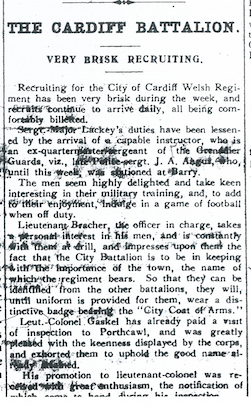 Promoted to Lieutenant Colonel , Gaskell had already forged links with Porthcawl during previous years. Not only had he rented a house at 3 Esplanade Avenue with his wife, Violet, had his daughter Mary christened at the local Catholic Church in 1913; but in that same year had accompanied Major John Lambert , a former Chairman of Porthcawl Town Council ,in a town recruitment drive encouraging ex-servicemen to enlist in the reserves, should there be a war in Europe. 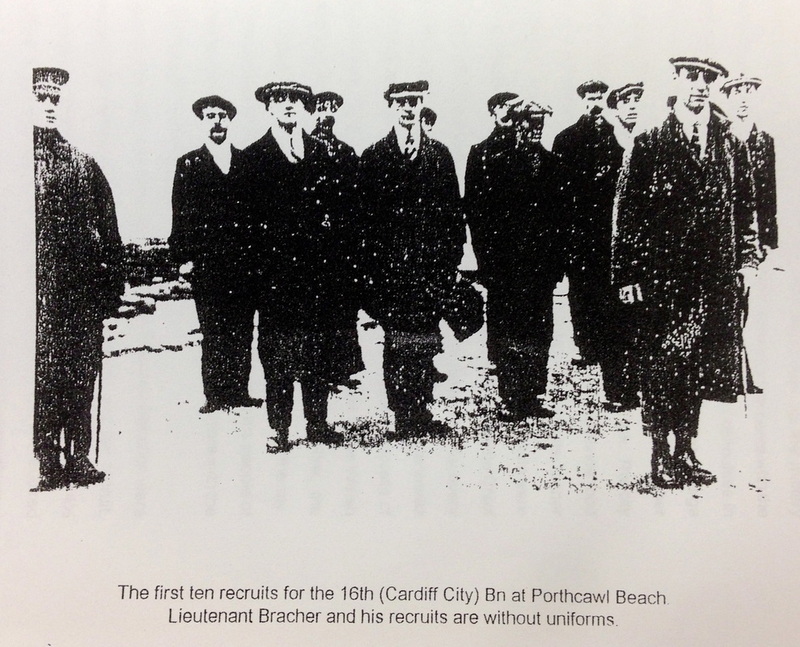 Therefore, along with Porthcawl’s reputation as a well-established garrison town, it was not surprising that he wished the 16th to be transferred to Porthcawl for initial training. Receipt asked for a year later. ​The Somme in readiness for the July Offensive. The 16th Battalion was to serve at Mametz Wood. 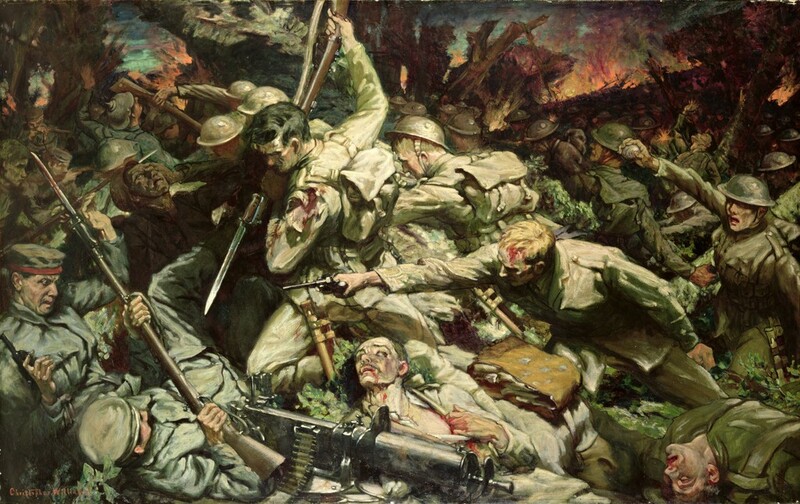 Mametz Wood by Christopher Williams now on display at The Royal Welsh Fusilier Museum, Caernavon Castle. 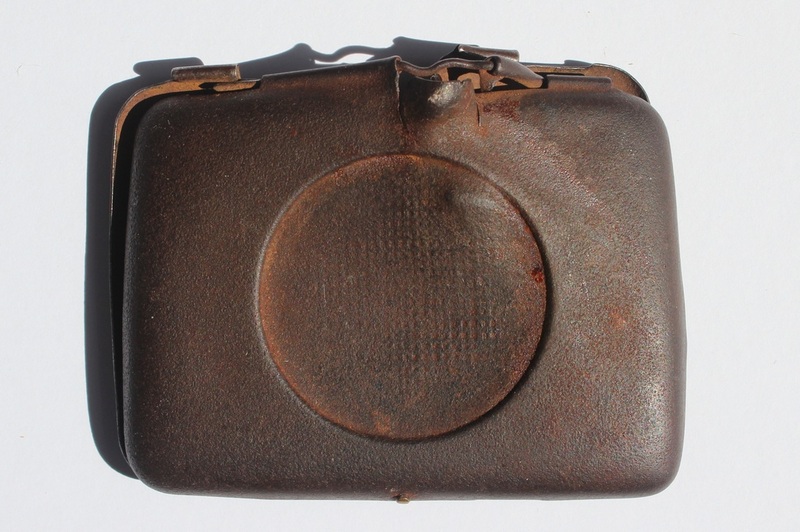 The life of Private John James Thomas, 4th Battalion, Welsh Regiment, was saved by his cigarette case at Suvla Bay, August 1915. John James Thomas was born in the village of Penygroes, Near Llanelli. Although he had begun an apprenticeship at a draper’s shop, he was more concerned with the war. 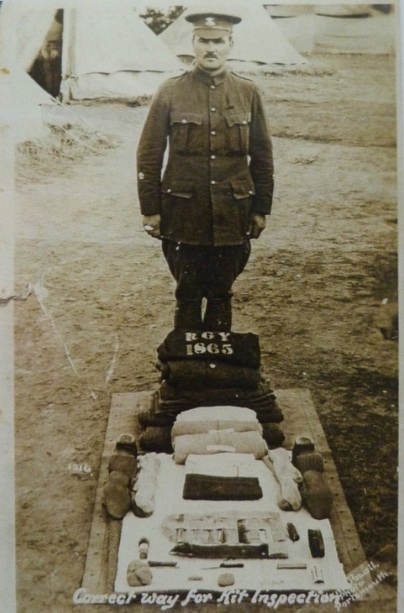 John’s neighbour, who had enlisted in 1914, had allowed him to try on his uniform and hold his gun, whilst on leave. 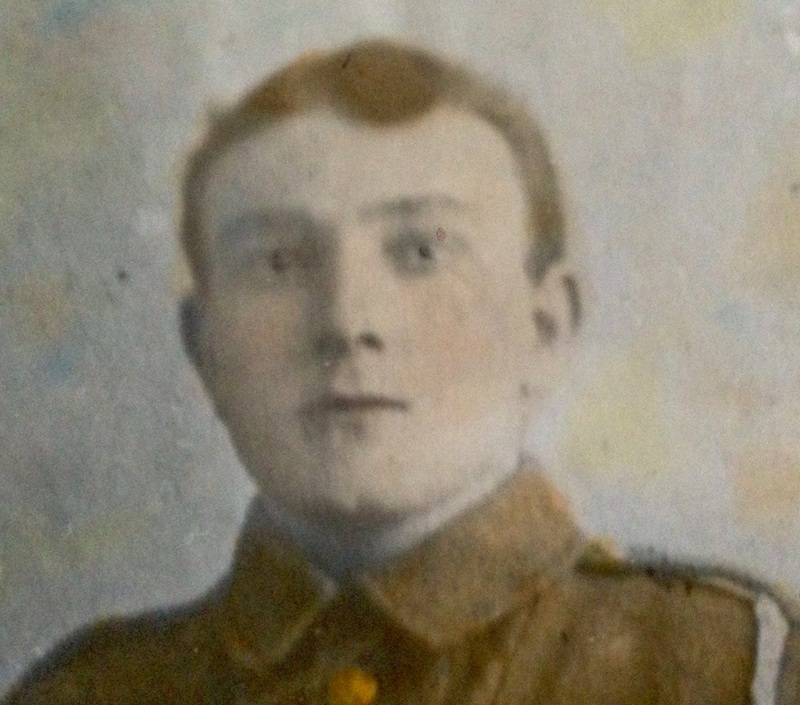 This affected John to such an extent that one particular day in January 1915, instead of going to work, as his mother had thought, he got on a train to Brecon and joined the 4th Battalion, Welsh Regiment, having lied about his age. 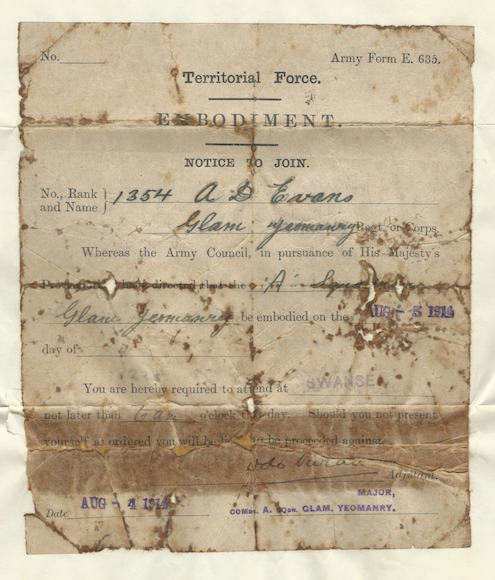 Private John J Thomas, Service No 813, was 15 years old. Following training, the battalion left from Devonport on 19th July aboard the SS Mauritania, bound for the Mediterranean. 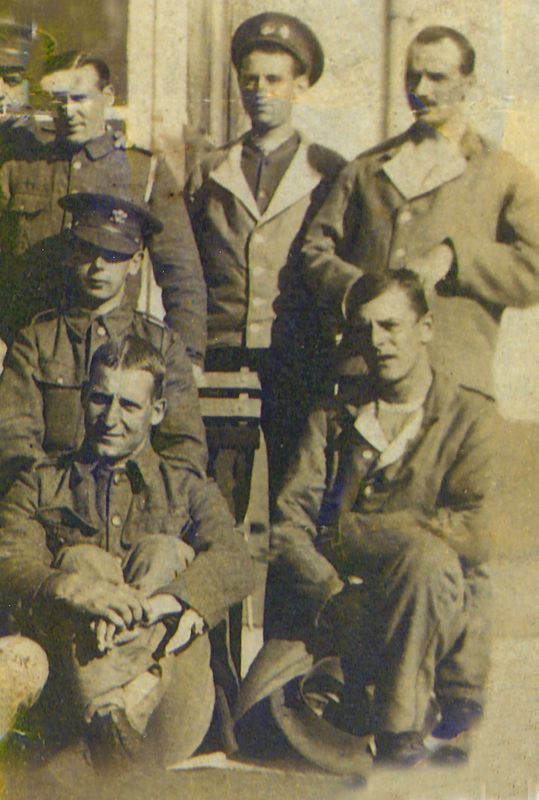 On the 9th August, as part of the 53rd (Welsh) Division, John’s battalion landed at Suvla Bay on the Gallipoli Peninsula. The division soon suffered over-crowding, chaos on the beaches, and constant sniper fire from Turkish batteries, positioned on the cliffs above. Many casualties occurred in those first few days and had it not been for his cigarette case, Private Thomas would certainly have been one. 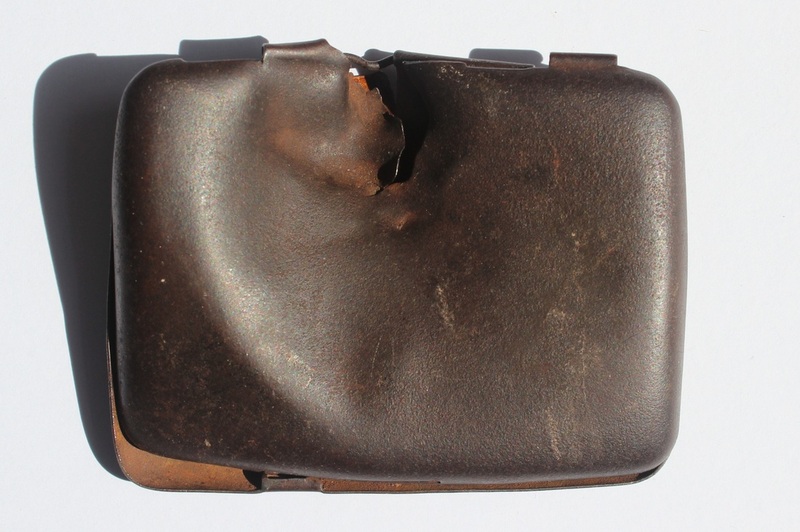 A bullet aimed at his heart struck the cigarette case positioned in his breast pocket. 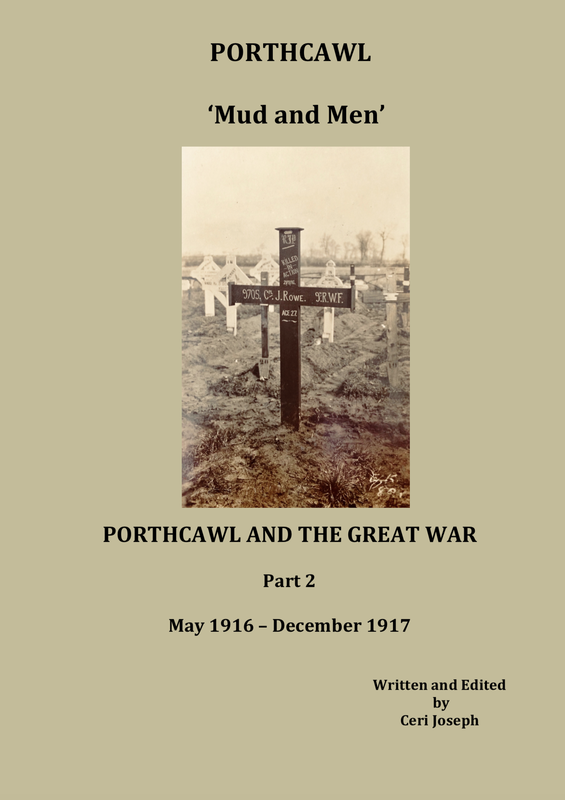 The case will now form the centrepiece of the Porthcawl Museum’s display – ‘The Welsh at Gallipoli,’ opening Saturday 8th August 2015. 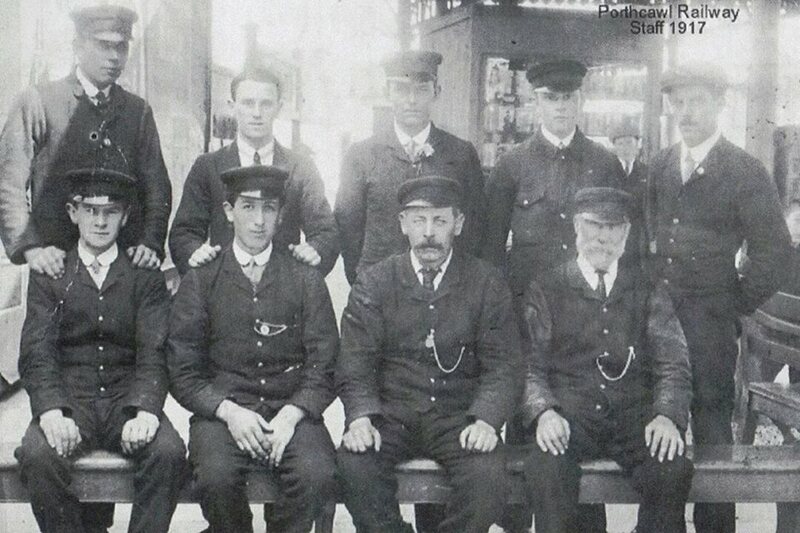 Private Thomas is the young man in the middle row. A book was produced to coincide with the event at Leicester Square, to raise funds for Welsh troops and their families. It contained a collection of Welsh art, music and literature of the day, provided by notable Welsh artistes. Chairman of the Committee that organized the book and the event. 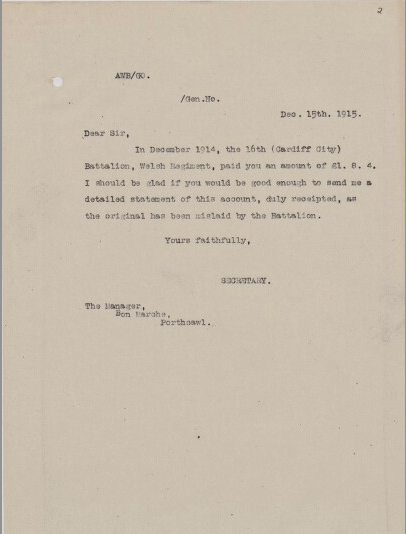 The last item is written by PM David Lloyd George who highlights the debt paid by small nations to war. He especially mentions Belgium and Wales. A copy of the book is on show at the Museum. Private Glan Evan's call up paper. Notice the date. 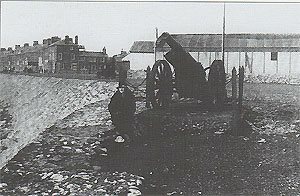 After the First World War ended this canon, which was given to Porthcawl Town Defence Corps, ended up as a landmark on the seafront. 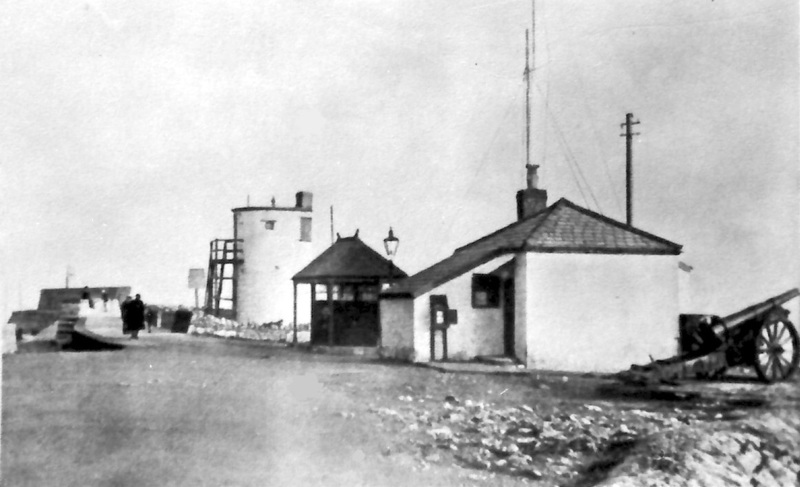 Between the wars it stood proudly next to the Coastguard Station and the Pilot's House.In 1940,it was removed and used as scrap as part of the war effort. 25,000 tunnellers were operating behind enemy lines by 1916. Many lost their lives. Read more. 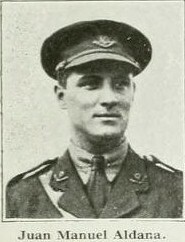 Charles Neil Chambers was Porthcawl's first casualty of the war. Porthcawl Memorial was dedicated on 16th July 1921. Like most memorials after the war it was paid for through public donation. 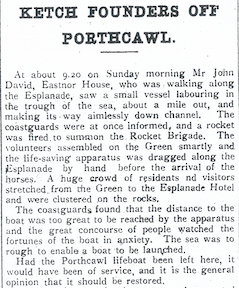 In the years leading up to the First World War Porthcawl welcomed over 50,000 Territorial Forces from all over England and Wales.In the summer of 1913 the Porthcawl News refers to Porthcawl as a "Canvas City". 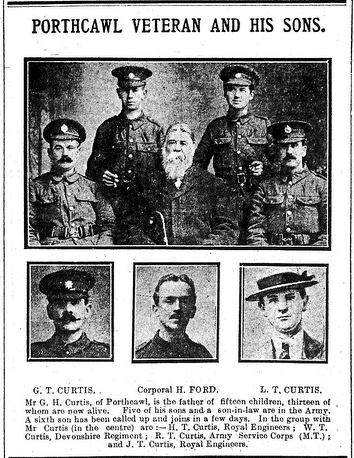 Corporal Joseph Leonard Carter , Welsh Guards, was killed on 16th January 1916 in France. A native of Tetbury , Gloucester. This is an x-ray of Corporal Arthur Cecil Avenell's leg. 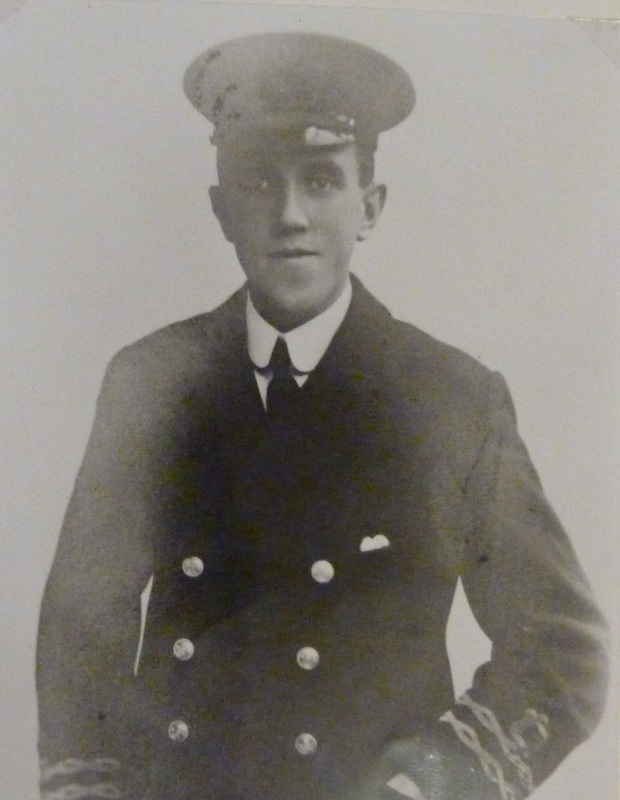 Cecil worked for the GWR at Bridgend prior to the war, distinguished himself at the Battle of Arras. His mother lived at 28 Suffolk Place, Porthcawl. 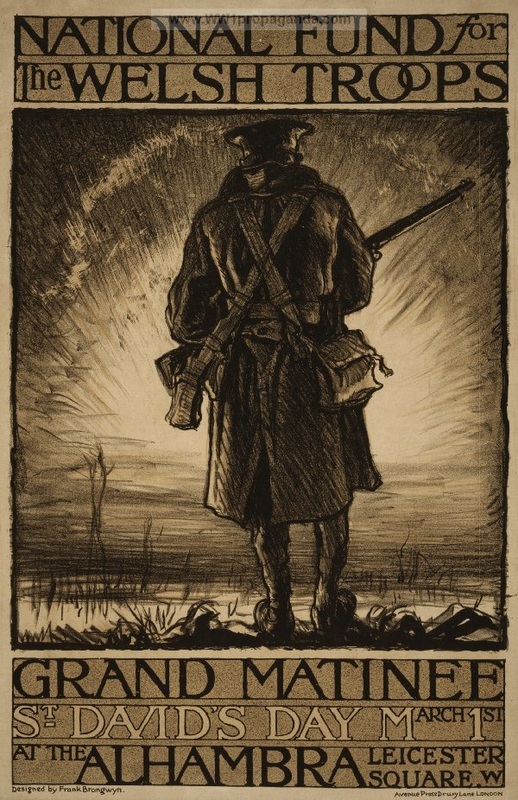 On 31st January at Cambrai, Cpl Avenell received a bullet wound to the left leg, which resulted in his leg being amputated 8 inches above the knee. 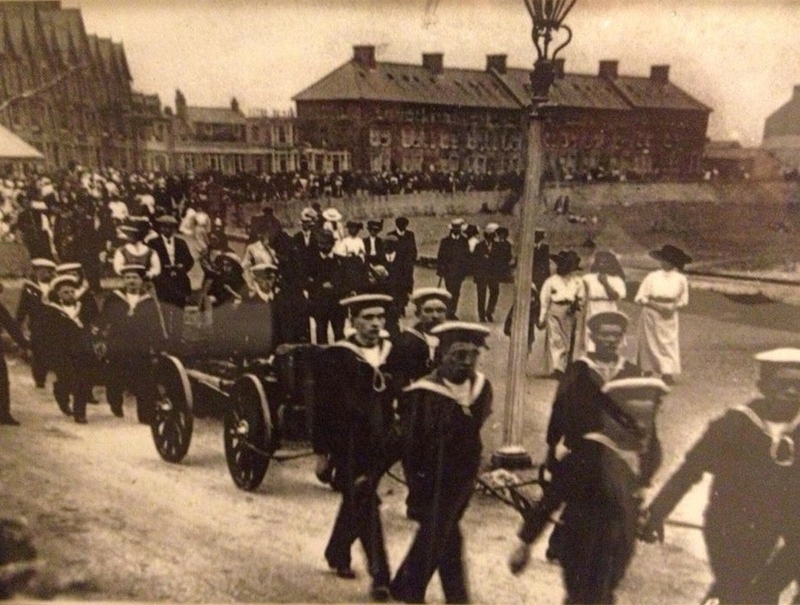 During his long recovery, he was transferred from one hospital to another.One of the hospitals that he was a patient was St John’s Auxiliary Hospital ,Porthcawl in February 1919. Cpl Avenell was fitted with an artificial limb on 6th September 1919. Married Stella Hartery in 1920. 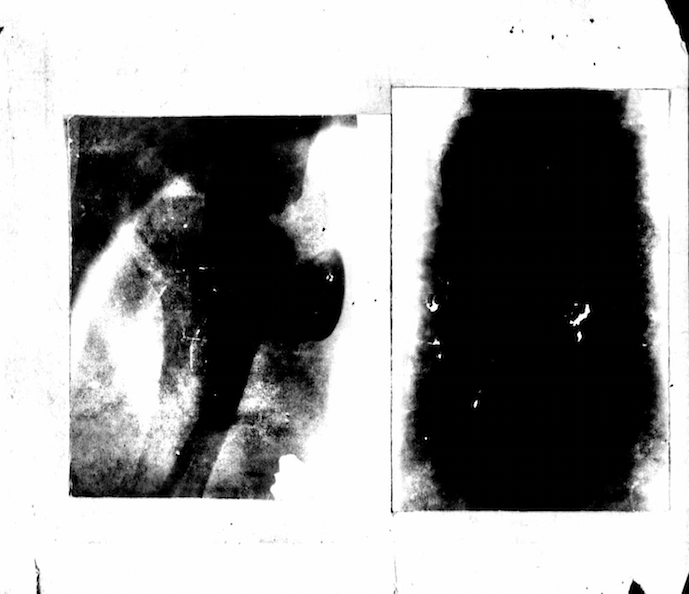 It is likely that Marie Curie or her daughter took this X-ray. After war broke out in July 1914, Marie realised what a vital role X-ray machines could play in treating the men who were wounded in battle. She began touring Paris raising funds, gathering supplies and persuading car manufacturers to convert their vehicles into X-ray ambulances. She eventually established 200 of these mobile X-ray units, known as “Little Curies”, which she herself would drive to the front line. At the commencement of the war a trench was nowhere to be seen. The Germans had invaded France through Luxembourg and crossed the border into Belgium. Their objective was the fall of Paris. The French, Belgium and British response was to throw armies into the field to halt the German advance. The struggle between both sides, intensified after the defeat of the Germans at the battle of the Marne, 7th-10th September 1914. The Germans withdrew to the River Aisne and dug in. As each side attempted to attack the other’s northern flank in order to surround the enemy, escalating manoeuvres resulted in both sides moving toward the Belgian border and the North Sea coast. It ended with the first battle of Ypres (30th October-24th November 1914) when a German drive to capture the Channel ports was prevented. The result of this “race to the sea” was the emergence of two continuous lines of trenches reaching from the Belgian coast to the Swiss border. A stalemate was created which was to dominate the Western Front until the German spring offensive of March 1918. One of the bloodiest campaigns of the First World War was fought in the Dardenelles between April 25th April - 11th October 1915. 250,000 casualties were sustained by British and Commonwealth troops. 47,000 French and 250,000 Turkish. What part did Porthcawl play? 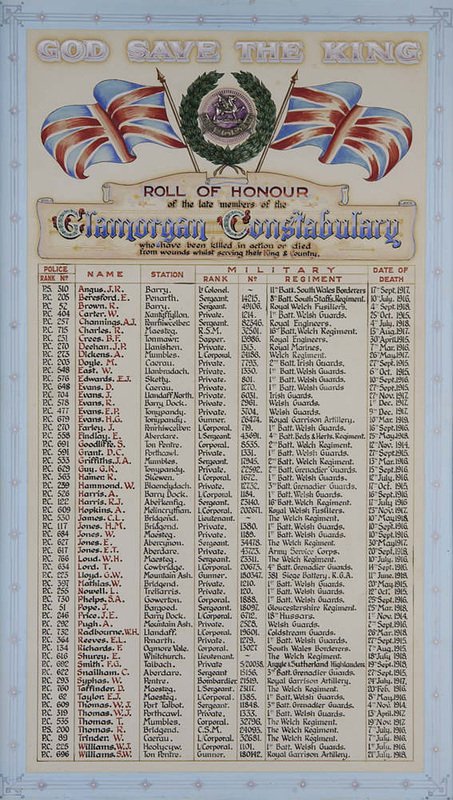 This list is not complete as 2 Porthcawl policemen are not recorded. PC Frank Trott and PC Joseph Carter. 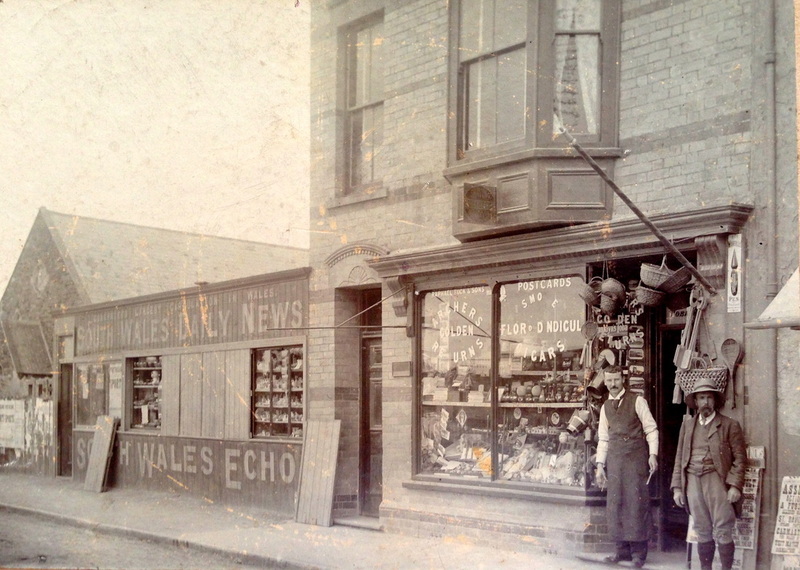 This website is owned by Porthcawl Museum. The website has been created by Ceri Joseph. Porthcawl Museum holds the copyright for all written material on the main pages of this site. The Blog may use the work of others. Every effort is made to reference the author of other material.